The GRADUAN® App lets you take charge when it comes to job hunting at the upcoming GRADUAN® ASPIRE 2018. GRADUAN® ASPIRE is back again, this time happening on 21st and 22nd July 2018 at the Kuala Lumpur Convention Centre. There will be over 150 employee booths this year for you to check out, ask questions and who knows, even get an interview and hopefully hired in the future! 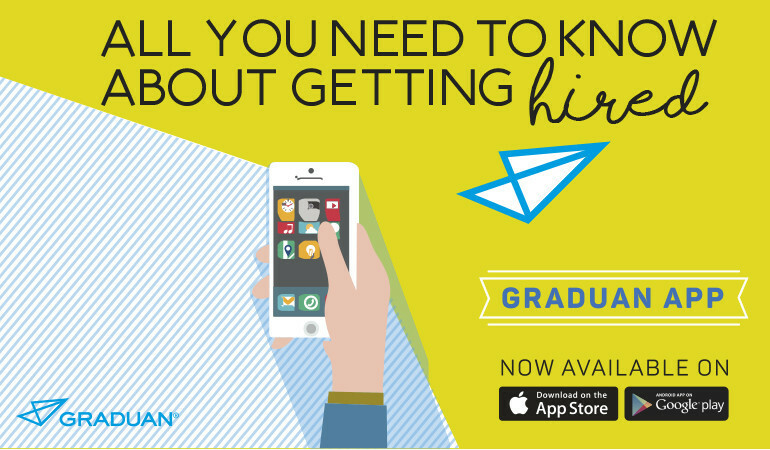 To make the most out of this year’s fair, we recommend that you download the GRADUAN® App. Here’s why. #1 You can register for the fair straight from the app. Forget the long lines at the registration counter on the day itself of the fair. Why not get ahead of everyone else by pre-registering via the app. Just click on the Register Event button and sign up. It’s that simple. The app has a QR code that gets you easy access into the fair. So there’s no need to look up or reconfirm your registration. Just get your QR code scanned upon arrival and you’re in! Will the company you want to work for be at the fair? What big multinationals will be there? What about startups? The app will have all this information and more so that you can properly prepare your CVs for the fair. Make sure to upload your CV direct on the app. At the fair, use your smartphone to scan a code at the booth of the company you want to apply for and presto! Your CV gets sent to the company instantly. #5 Everything you need to know about the fair – all in the app. There will be special activities like ASPIRE LOUNGE (where you get to meet celebs and personalities who are there to share about their experiences), games and more at the fair. ... Don’t miss out on job postings anymore. The app will send you a notification on the latest postings from your preferred employers. ... Let recruiters know you’re interested! Upload your CV direct on the app so that it can be searched by potential employers. ... Tell the companies all about yourself. Create a profile complete with images, a video resume and anything you think that will help you get hired. You can also connect your social media account to your profile! ... Get exclusive invitations to career and education events, fairs and workshops. This way you can have as many opportunities as possible to find out more about the job and industry you’re interested in. ... Tips delivered straight to your phone from top CEOs and executives on how you can land your dream job and be great at it! The GRADUAN® App is available for download on Google Play Store and Apple App Store.